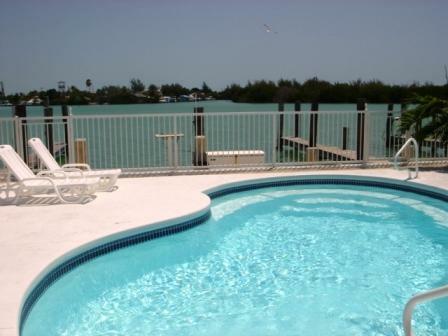 The Cabana Package with a Boat, best deal in the Florida Keys! 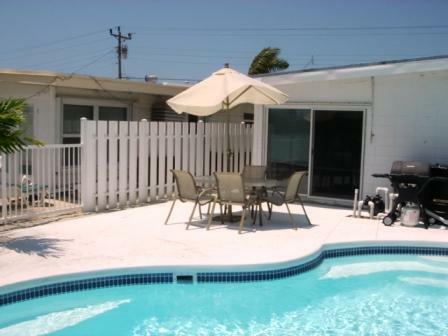 For a great way to beat the inflated prices in the Keys, try our Cabana Packages. 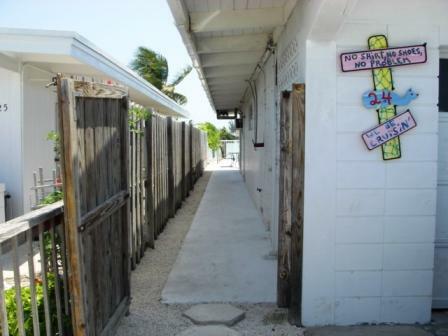 For the price of a cheap hotel room, you can have an entire half duplex, with full kitchen, and a fully equipped boat, right out back, to explore that beautiful Keys' water. 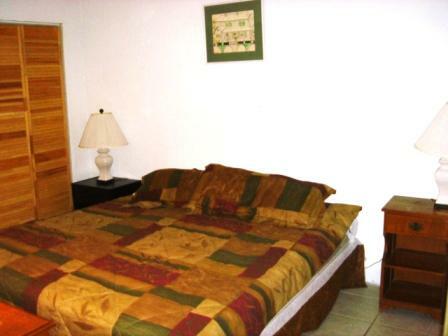 Some of these locations also include a membership to the Cabana Club, others have a full heated private pool. 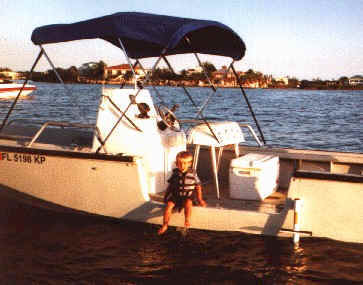 Starting at 1400/wk for the 1bd 1bth with private pool, with a v-22' Whaler, 200 Yamaha GPS, VHF, charts, etc. 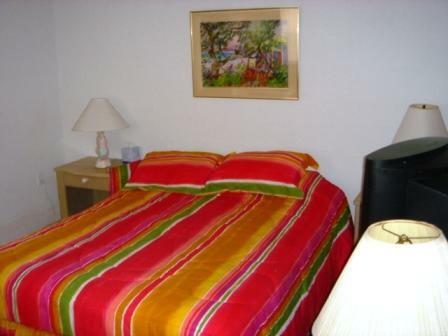 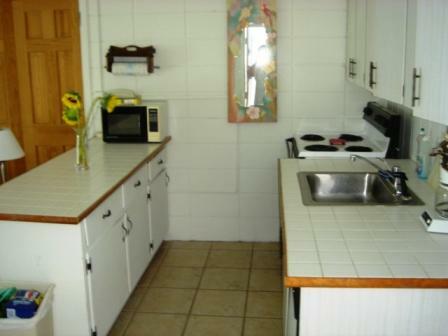 1 unit available rate in season, some holidays higher. 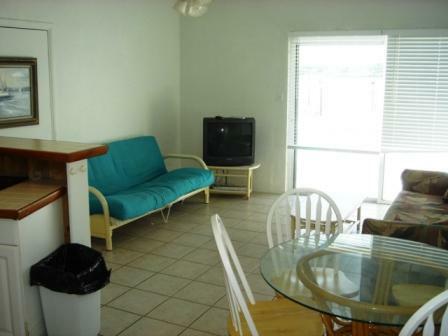 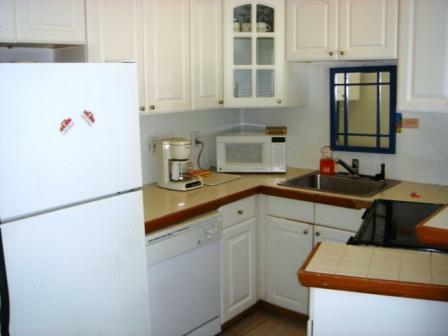 1700/wk for the 2bd 2bth side with pool that sleeps up to 6 with a beautiful view. 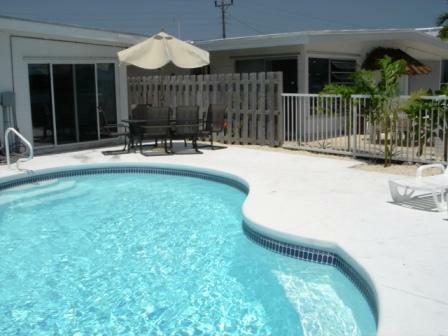 Here is the view side of the home by the pool, 28ft heated San Juan Pool. 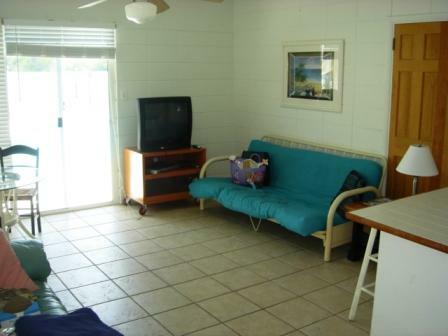 Here is the wide open view, just to the right is the open ocean.